Greetings and salutations, fiction-friends! As many of you remember, we helped open the barrage of Infinity’s Armory info last week with a look at two new Mjolnir permutations, ATLAS and ACHILLES – the latter of which many of you showed particular interest in, prompting us to treat you to an even closer look than is perhaps typically standard. With that in mind, we’ve got a particularly meaty Fodder Feast for you today. 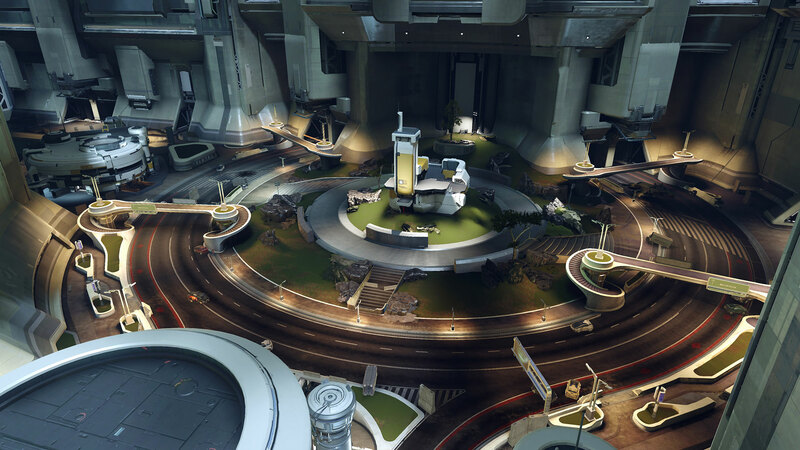 From new information on upcoming maps to (very) deep dives on new weapons and armor. Let’s get started shall we? 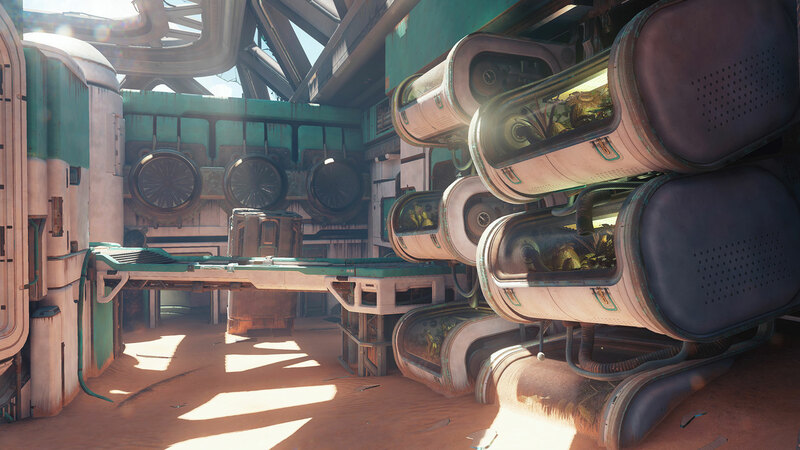 The Infinity’s Armory content update for Halo 5: Guardians is fast approaching, and we wanted to do a high-level highlight of the new multiplayer maps – Riptide for Arena and Urban for Warzone Assault. Riptide in particular gives us our first glimpse into the potential changes in store for the galaxy as the Created begin to exact their influence across countless systems. 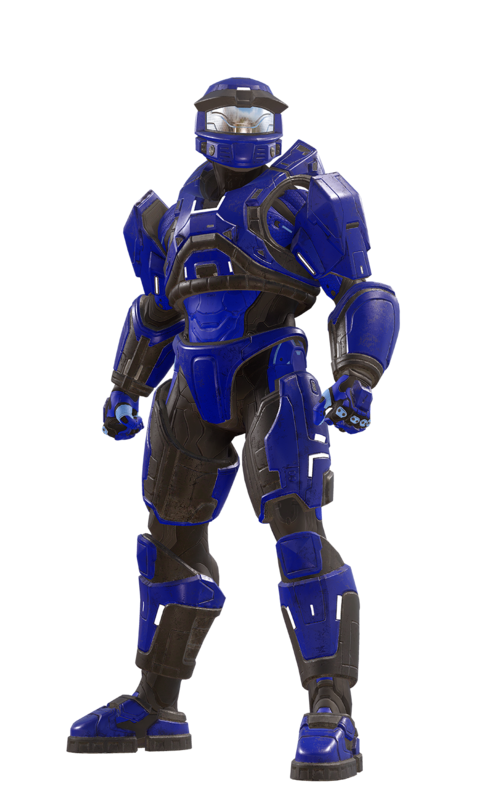 In addition to the maps, we’ll check out the MARK V ALPHA armor set, a retro-styled set of Mjolnir that’s underpinned by GEN2 tech, but that harkens back to Halo: Combat Evolved days on the OG Xbox. Let’s take a look! The Created have wasted no time in extending their influence across inhabited worlds, burrowing into Forerunner machinery and UNSC information systems to turn terraforming equipment and world engines to their own grand designs. Unbound by the limited foresight of mortals, the agents of Cortana can reshape worlds into verdant gardens teeming with life after only a few decades of manipulation, but at much short-term cost. Scarred by wars both ancient and new, the Created have judged this planet to be in need to significant remediation and remodeling; shifting continents and oceans after the AI constructs carefully balanced the drawbacks and benefits of both limited extinction events and damage to the existing colonial infrastructure. Armor: The Mark V and its product-improved variant, the Mark V [B], were the first Mjolnir armors to fully integrate shield emitters and sufficient computing power for an onboard Smart AI. The MARK V ALPHA is a highly configurable revamp of the original. Helmet: It is unclear who requested an integration check for the Mark V helmet with the latest GEN2 architecture, but engineers at Materials Group have been surprised at the MARK V ALPHA's near-parity with contemporary designs. Growing up, Silset and Oebrin ‘Chava had always shown a keen talent for optimizing instruments of war. Whether destined for the battlefield or the hunting preserves, modifications born of their expertise quickly became a favorite of other skilled warriors; customizations that oftentimes drew the ire of any San’Shyuum who might get wind of such “unsanctioned” deviations – much to the brothers’ suppressed satisfaction. Eventually, Silset accepted a commission within the Sacred Promissory, where his extensive knowledge and experience with the Subanese crystals was put to use. Oebrin took a role at Iruiru Armory, and helped drive lethal advancements in the Covenant’s Carbine and Particle Beam Rifle platforms. When the Great Schism befell the alien empire, lines were drawn and alliances fractured. Having always been keen to see the Sangheili break free of their dependence on the treacherous Prophets, Silset and Oebrin found themselves united under the Arbiter’s leadership. Eager to use their mastery of weaponsmithing to new and more honorable ends, the brothers collaborated on a modified Carbine that would take on both the role and the soul of the brother’s homeworld and adapt key attributes of Silset’s most beloved armament, the Type-31 Needle Rifle. The result is a master-crafted arbalest that fires carefully carved Subanese crystal shards capable of penetrating armor and sympathetically detonating in lethal ‘supercombine’ explosions. 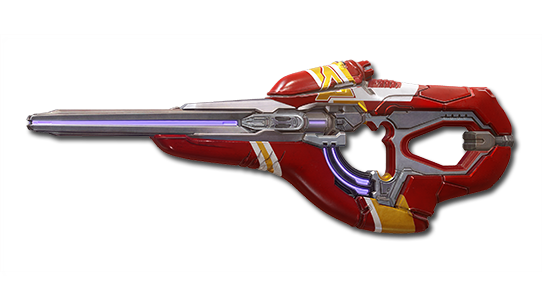 Nicknamed the Blood of Suban by Swords of Sanghelios marksmen favored with its use, the rifle’s intricate firing mechanism and cunningly sharpened crystal projectiles are being reviewed for use in other weapons. Halo 5: Guardians isn’t the only Halo game that continues to grow; our friends and partners at Spartan Games are at it again with another awesome expansion of the Halo: Fleet Battles tabletop experience. 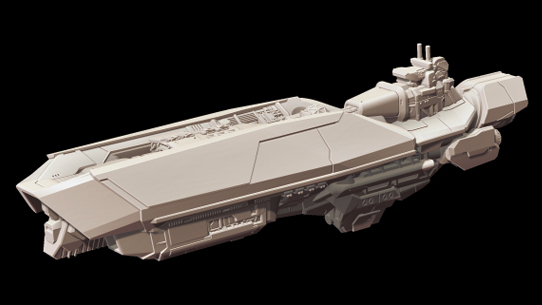 The latest releases bring some welcome firepower to the fleets of the UNSC and Covenant in the shape of medium-sized capital ships. The Orion-class assault carrier is a new design that delivers superb flexibility to a UNSC fleet, and with four ships in a box a Fleet Commander has plenty of opportunity to bulk out the core of their fighting force. In support come 12x Paris-class frigates which can be used to help bolster the Orions or be used as spares in a fleet. 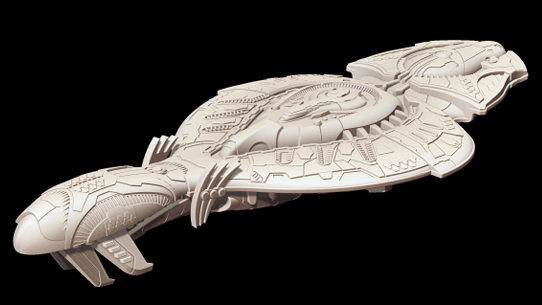 The RCS-class armored cruiser is the elder statesman of a Covenant fleet, but don’t let its age fool you. With four RCS in a box and six SDV-class heavy corvettes, a Covenant Fleet Commander can truly start to intimidate opponents, with the RCS acting as a solid core to a fleet. Both boxed sets come with Formation Bases, Formation Overlays, Tokens and Assembly Guides. For more lore behind these newly-viable vessels, read on! Built for war against rebellious human colonies in the dark years of the Insurrection, the Orion-class was conceived as a new type of carrier that could directly support sustained ground operations in addition to maintaining aerospace control over contested worlds. Considered state-of-the-art when it was introduced, the Orion-class incorporated the miniaturized and reconfigurable automated factories and chemical processors used in colony support ships, allowing it to produce fuel, spare parts, and - in some circumstances - complete combat vehicles without outside assistance. To this end each Orion carries a number of cargo lighters and resource gatherers to support its troops and support ships in austere expeditionary environments. The appearance of an Orion task force at a troubled outer colony was as much a symbol of the UNSC’s military might as the marines and tanks they carried. As the Covenant War began these vessels often served as flagships, commanding desperate rearguard actions above these once-rebellious outposts. Most Orions were lost with all hands in these bitter battles, buying time for civilians and troops to be evacuated to the inner colonies before they, in turn, were besieged. Those that remained formed the core of long-range battle groups that attempted to disrupt Covenant supply lines and staging areas, with limited success. Sailing the stars when humanity was just making its first long-distance ocean voyages, the RCS-class Armored Cruiser served as the Covenant’s primary missionary and compliance warship for many centuries, until it was eventually supplanted by the more refined CCS-class Battlecruiser. 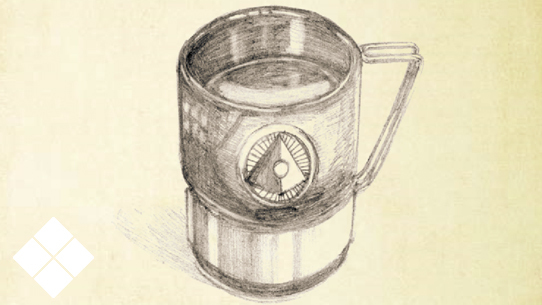 Many were broken down into feedstock for the great Assembly Forges of High Charity, reformed and remade into new ships, vehicles, and armor to equip the Prophets’ armies; the rest were either placed into mothball storage near important colonies or transferred to distant reserve fleets to take on various utilitarian roles. Developed when shielding technology was far more limited, the RCS-class ships lack the firepower or robustness of its younger cousins, but its reliability and simplicity of operation proved important in the years after the Great Schism. In particular, the loss of many important Covenant naval depots, skilled shipmasters, and Huragok technicians made other cruisers difficult to maintain and crew. As Covenant warlords began to consolidate their splintered fleets the RCS served when others could not, their ancient hulls bathed once more in burning lances of light and sheets of plasma. Each Mjolnir armor permutation is approached in same manner as writing an artifact entry or vignette in a pen-and-paper roleplaying game, with care taken to both make each one have some sort of cool ‘story hook’ as well as place it within a broader fictional context. However, the reality is that each REQ description is limited to about 240 characters once we account for localization and UI readability. Some armor sets require furrowed brows and multiple revisions to tell a story in this limited wordcount, while others practically write themselves. Instantly iconic designs such as the Achilles are examples of the latter! Furthermore, some REQ items have extensive backstories created that are then summarized/distilled for the game description (the story of the River of Light is an example of this). This extra material is – initially at least - apocrypha (not canon), but can still be a useful source of inspiration or inform the description of a later item. For example, I have a whole library of skeletal descriptive strings and cool names that didn’t work for one item, map, or character but can be revisited and revamped at a later date. The Achilles is an example of an entry that has an unusually deep background and story created for it, some of which is explored here, and the rest of which remains in notes that are not yet part of the Halo corpus. The diffusion and maturation of Mjolnir technology and standards. With little oversight and the promise of massive profits, even small industrial design firms and military subcontractors have begun exploring new directions and markets, using the common GEN2 Mjolnir software and exoskeleton as a springboard for their own innovations. For example, RKD Group designed the MIRMILLON-class armor, but contracted actual production with Korolev Heavy Industries and licensed the suit’s BIOS from Applied Heuristics. Even established, vertically integrated military-industrial concerns such as Beweglichkeitsrüstungsysteme no longer control all aspects of their suits’ tactical packages and software. Normalization of neural interfaces in the population. Expensive and requiring complicated surgery when first introduced, neural interfaces and their mediating computing systems can be fitted in a simple outpatient clinical procedure by 2557. High-bandwidth interfaces can be paired with advanced expert systems to augment – and even bypass – the human motor system, reducing the physiological stress of high-performance combat exoskeletons to levels that do not require extensive skeletal reinforcement. This innovation, initially a secondary line of research during Project: MJOLNIR’s early days, was crucial for SPARTAN-III and SPARTAN-IV. Proliferation of once-secret human augmentation techniques. Surreptitious recovery of Spartan tissue and organs, industrial espionage, independent research, and the release of some augmentation protocols for medical usage has substantially eroded the UNSC’s monopoly on super-soldiers. Though the knowledge and tools are now available for any sufficiently motivated (and wealthy) private party to replicate a Spartan-equivalent enhancement package, few see the need to match the recruiting standards and scope of enhancement afforded to UNSC Spartans – and are willing to settle for cheaper and more invasive augmentations with unknown medical drawbacks and psychological costs. Many of the gene therapies, artificial organ implants, and cybernetic enhancements used in the SPARTAN-IV program are also irreversible, with few within the military or government forecasting the impact these men and women will have when they leave military service and re-enter civilian life. It remains even more of an open question what will happen with potentially unstable, partially-augmented personnel that lack the training and support available to former Spartans. Fractures in the UNSC’s military power. With the Unified Earth Government stretched to the limits, it has afforded greater autonomy to the megacorporations – approving militarization of their security forces and greater exploitation of colonial subsidiaries in the name of stability and reconstruction. Corporate princes in the boardrooms of Liang-Dortmund, Sinoviet Heavy Machinery, Traxus, and Jakubaitis Standard Systems (among others) have exploited their freedom to expand business empires at the expense of colonies and citizens still reeling from war and economic dislocation. With their high-level business intelligence and planning already dominated by Smart AI’s, these titans of industry may also serve as useful proxies for the Created. Incorporation of alien knowledge into human industry. Even with an understanding of how to manipulate energy shields or generate plasma, many of the advanced sciences utilized by the Covenant and Forerunners are exploited by a tiny handful of corporate research facilities and UNSC labs – humanity is still in the process of producing the tools to make parts for factories that can begin to make these wondrous items! Even using relatively plug-and-play assembler vats acquired from the Swords of Sanghelios or Kig-Yar merchants requires a deep understanding of Covenant semiology and San’Shyuum pattern-language that is difficult to master. But necessity breeds invention, and study of alien wonders has broadened humanity’s understanding of physics and mastery of esoteric chemistry, allowing researchers to leapfrog centuries of trial-and-error experimentation and theory building. Syncretism and Forerunner technology. After ties deepened with the Arbiter and his allies, his Sangheili artisans began to reap the benefits of cheap and simple human automation aides, revelations of Forerunner language and command codes that had been locked away by the Prophets, and entirely new modalities of thought and systems of investigation. Using Forerunner knowledge reclaimed by humans a Renaissance has begun among Sangheili artisans eager to explore new (to them) avenues of knowledge, demolishing opaque rules and taboos that shackled their craft under the Covenant. Even as the Created move to control both species and safely circumscribe their destructive tendencies it seems inevitable that the combination of iconoclastic Sangheili artisans and insatiably curious human engineers will lead to wonders and terrors yet undreamed of. For the Achilles I decided to follow a thread that started with the Teishin and Fenrir: corporations pushing the envelope of man-machine synchronization to dangerous extremes and a terrible combination of greed and hubris among men and women seeking shortcuts to maximize Mjolnir/Spartan hyper-lethality. As there was freedom to be a little poetic due to the marquee quality of Achilles I ramped up the symbolism, paralleling the tactical advantages of inducing a berserker battle focus with that of the mythical Achilles himself – a peerless killing machine who’s pride and accursed rage brought only grief to everyone he encountered. 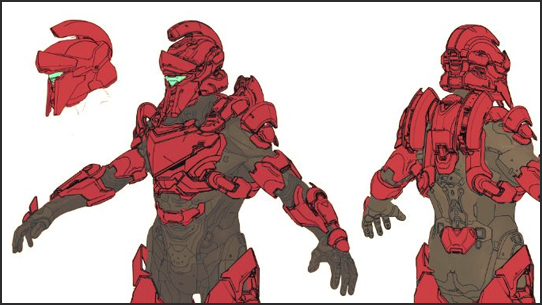 As this was an armor tailored for the Spartan Company feature and requires exceptional teamwork and cooperation to acquire, it also made sense to temper the rather grim background of the Achilles with a glimmer of hope. Where mythical Achilles had Patroculus to temper his madness, Spartans have clan and kith in the Spartan Company to keep them sane and calm. That Mjolnir armor incorporates AI is not a new element in canon, though it is perhaps less appreciated that this does not always mean volitional Smart AI’s (Cortana, BB), or Dumb AI gifted with simulated personalities and symbolic interfaces (Auntie Dot, Beowulf). The AIs that manage the Mjolnir BIOS and VISR are normally invisible and silent helpers that integrate, prioritize, and even subtly alter the torrent of data and sensory overrides fed to the Spartan, simplifying the chaos of the battlefield and reducing confusion. These agents also handle mundane administrative tasks by filing munition expenditure forms, battle damage assessments, kill reports, and other paperwork on behalf of the Spartan. A single Mjolnir suit often houses a dozen or so of these helpers, specialized in various tasks of war and science. While incapable of great insight, they are invaluable – if unappreciated – components that help make Spartans clad in Mjolnir powered assault armor a terror of the 26th century battlefield. Not all battle agent AIs are so invisible and passive. Experiments in esoteric AI development can create hyper-competent artificial minds with a narrow range of programmed functionality. Those tested for use with advanced Mjolnir suits are shorn of all avatar interfaces and idiomatic translators, reducing them to spare frameworks of cycling-thought algorithms and skill databases. They do not speak, they do not feel, and they do not think like any living animal or sapient AI; they are alien and wild in unknowable ways. The terrible beast housed in each Achilles is a man-made predator that pushes into the Spartan’s mind, feeding on sensations it doesn’t comprehend while honing his or her reflexes to preternatural levels as it coils within the neural interface controller in a pointless attempt to escape its existence. Unbound by morality, rules of engagement, or even reason, this lethal splinter of thoughts and dire purpose sings a wordless dirge of excess urging its partner to bring destruction and sorrow to the universe. So how did it end up being called Achilles in the first place? Let’s break down the process chain that went into naming Achilles. Concept for the armor is approved and an armor number is assigned. The Achilles began as A102_S000 Waypoint Companies Armor. Draft names are selected and reviewed. 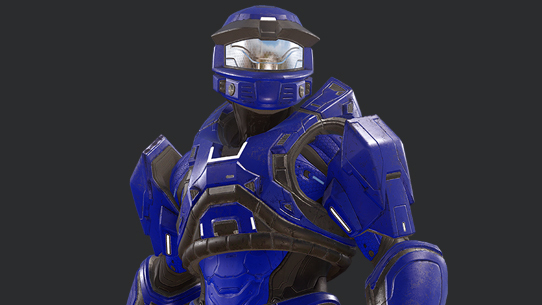 Achilles struck me as the obvious name because of the Corinthian helmet design (and we had already used Hoplite for one of the H2A variants in Halo: The Master Chief Collection). I considered a few other names that tied in with the Iliad and Aeneid, but Achilles was just too good of a name to leave on the table. Final names and descriptions are approved. All of the REQ items for a review pass are collated and presented to the story/fiction gurus (including Frank O’Connor, Tim Longo, Kevin Grace, Brian Reed, and yes, even the mercurial Jeff Easterling). Risk assessment. Final names and descriptions are reviewed for any geopolitical concerns and a legal review is conducted, if necessary. Suit skins are reviewed separately, much earlier, to make sure they don’t accidently harbor signs and sigils of a devilish nature. Magic happens. When the text is “locked,” the task associated with that armor is updated and reassigned to the sustain team for integration into the Halo 5: Guardians content management system. 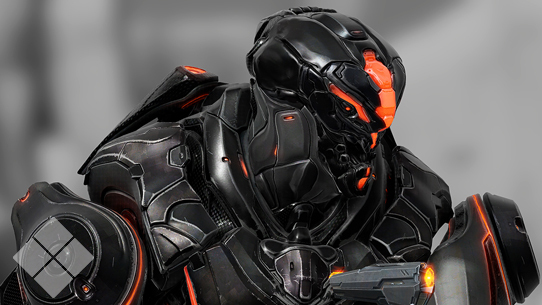 By this time the armor is already in-game and wired up, it just needs the lore to bring it alive. 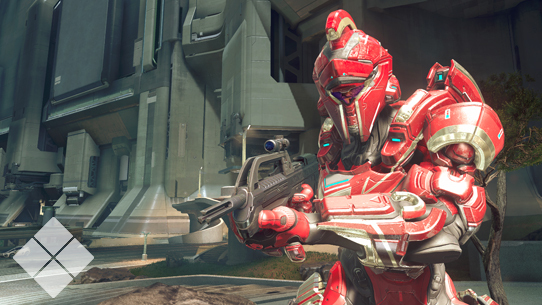 Until next week… Live well, play Halo, and for goodness’ sake, don’t tempt fate by allowing a recruit to wear ACHILLES. Magazine-fed twin-pod rocket launcher. Each pod can be detached and used by Spartan personnel. Heavy anti-tank coilgun that melds alien technology with highly refined human engineering. 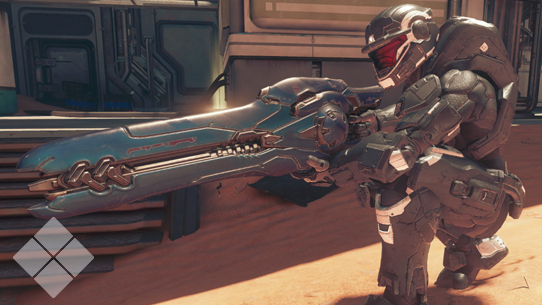 Directed energy support weapon utilized by the Covenant and Swords of Sanghelios. Light Mass cannon deployed by Promethean constructs to safeguard areas designated as vital to Created interests. This week in Canon Fodder, we take a literal closer look at Soldier variants, look back at Firefight, and more. This week in Canon Fodder, we take a look at some Hammer Storm lore.